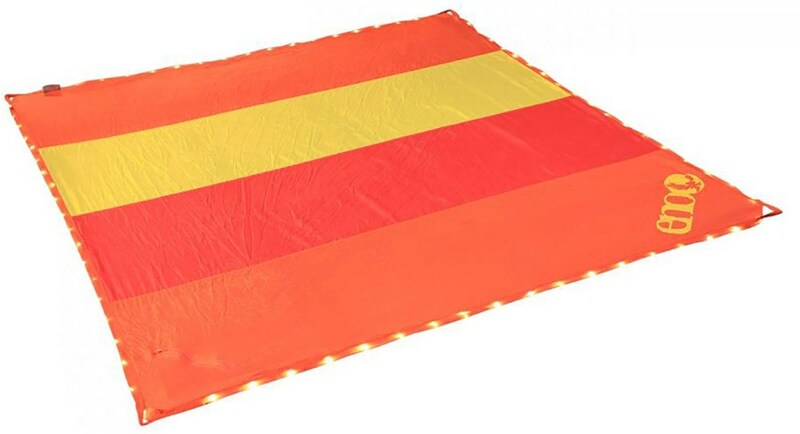 Great lightweight quilt for those hot summer nights. Having always used sleeping bags, I was looking for an inexpensive summer weight quilt to find out if I would like quilts better than a bag. 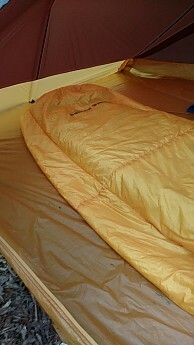 This one was available from Backcountry.com for $128 so I decided it would be the test subject. So far I have gotten 11 nights under it in temps ranging from 43 to 65 degrees. The quilt weighed in at 17 ounces on my scale with stuff sack and shockcord. Compresses small and fluffs back up easily. The manufacturer lists the lower comfort limit as 45 degrees. From 55 degrees and up I have been perfectly warm with just regular underwear and a T-shirt. When the temperature dropped to 43 degrees I had chosen to sleep in a pair of Columbia convertible pants and a T-shirt. Woke up around 3 a.m. a little chilly and put on an REI lightweight 3/4 zip fleece pullover I had placed next to me because I knew I was going to be pushing the lower comfort zone. Within a few minutes I was back on the warm side and off to sleep again. 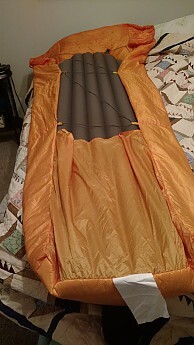 I have used the quilt with a Big Agnes Air Core Insulated on all nights and I am sure this has contributed to being able to stay warm. I am 5'11" 180 lbs. The Kings Canyon is plenty long and wide enough for me to pull it up over my head and completely wrap up in it. 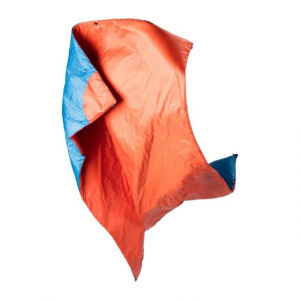 The Pertex fabric is soft as silk. I worry about its ability to avoid pricks and small tears from shelter use, but after two nights in shelters it has not suffered any damage. 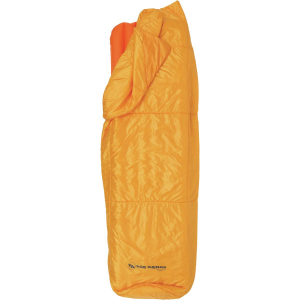 The Kings Canyon has two hand pockets to help you wrap up tight when needed. 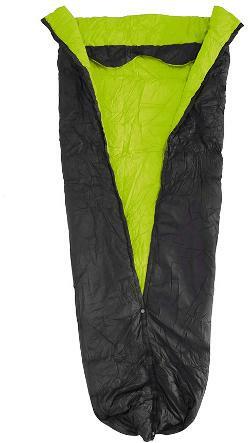 A sleeve that is intended to slide over your sleeping pad and a shockcord lacing to attach it securely to your pad. I have just used the sleeve as a foot box and left the lacing at home and haven't had any issues with staying covered. 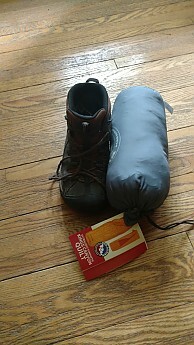 It is very compact, I had to completely rearrange my pack because I'm used to the sleeping bag filling up the bottom and this left too much empty space. 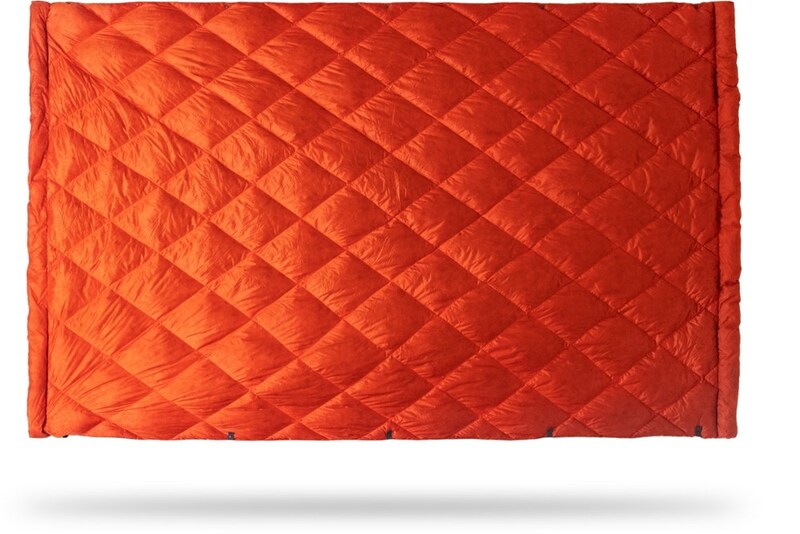 This is a great little quilt that has sold me on the advantages of getting rid of the sleeping bags. 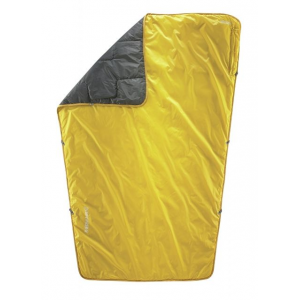 At 17 ounces it lightens my load and gives me a warm and versatile summer sleep system and could be used to add a few degrees of warmth to my winter sleeping bag. 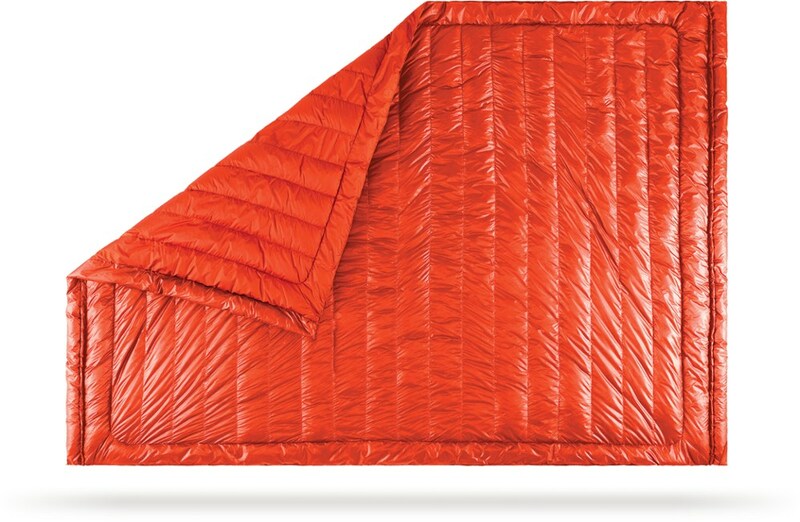 I am looking for a warm-weather synthetic sleeping quilt/overbag and this stacks up well against the likes of EE and Zpacks, for example. The $170 current price is a little steep in my opinion. However I have been blown away by the Primaloft silver insulation. I tried to use it in the bedroom(72 degrees)and woke up drenched in sweat. I wasn't wrapped up or anything, just had my feet in the footbox and the quilt laying loose up to my chest. Great review, Jason! Thanks for taking the time to share it. Enjoy your quilt!